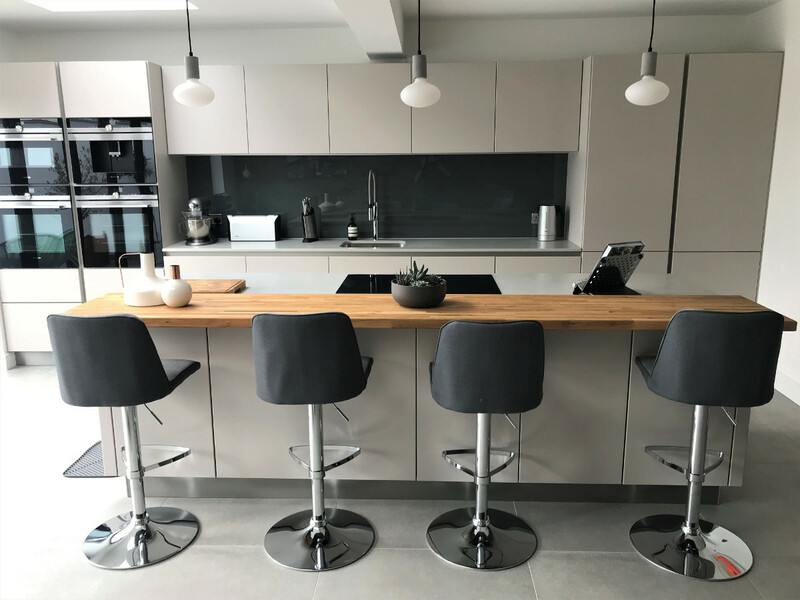 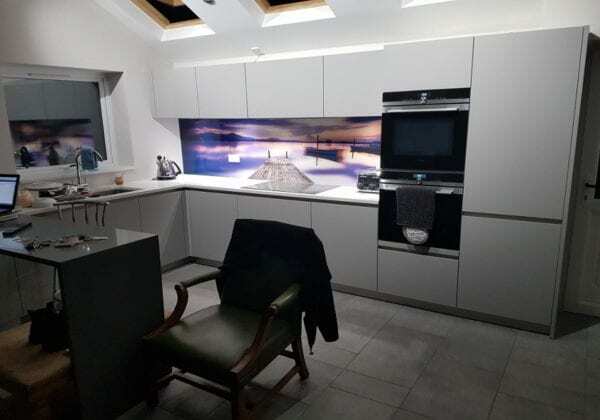 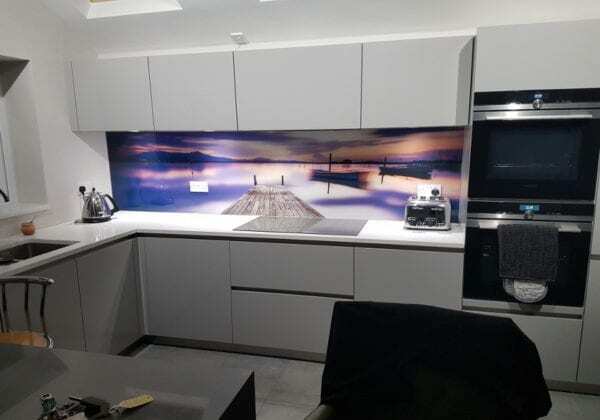 We do like the unusual glass splashback chosen by our customer Peter from Cheshunt, thanks Peter for sending in the photos. 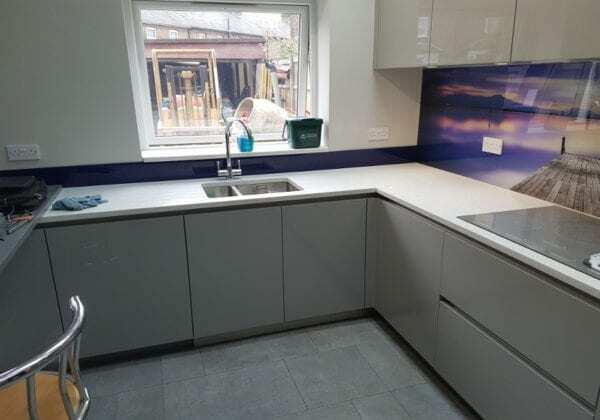 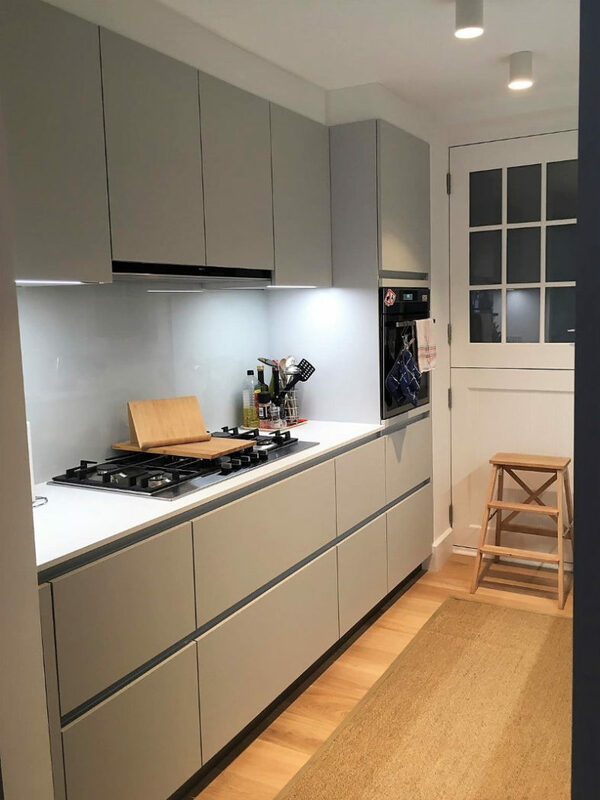 The colour is Crystal grey high gloss lacquer finish from our Schuller C Range with White mirror 30 mm worktops. 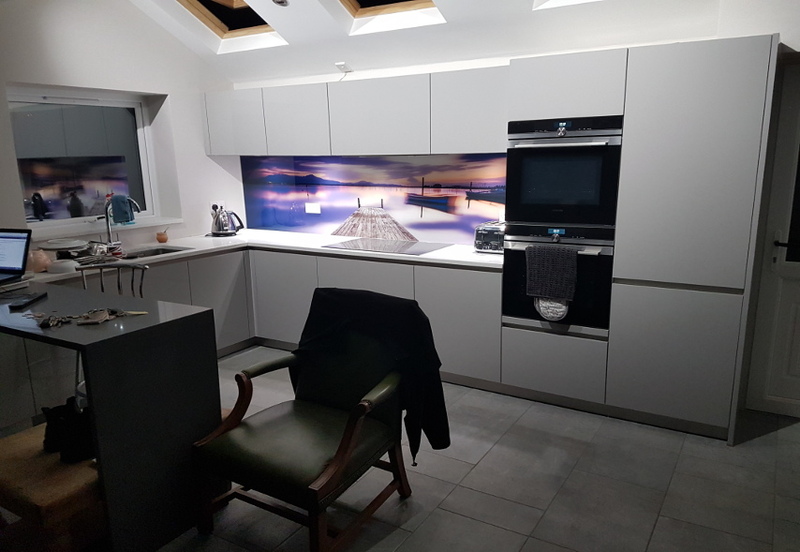 Peter fitted the kitchen himself which is rare but has clearly done an excellent job, well done Peter.